Immerse yourself into true audio experience. Everybody loves listening to music. But where’s the fun in that if you’re not feeling the bass throughout the entire song? Artists work hard in the studio to make good music for people to listen to but if you’re listening with a pair of cheap headphones, get rid of it and grab yourselves a proper pair of immersive headphones. But, which type of headphones are best suitable for you? It can be a hassle when it comes to choosing the right pair of headphones as it also in the end, depends on the budget and features that you want. So we’ve gone to the extra mile and list the current best selling headphones and where to get them. Sony’s latest pair of headphones have become one of the industry’s top-notch product, featuring Adaptive Sound Control that offers advanced noise cancelling. This eliminates external noises from outside, putting users to full concentration with their music playing whilst completing tasks. With the latest SENSE ENGINE built-in, it’ll automatically help users to adjust the ambient based on their surrounding settings, allowing users to be more aware without needing to remove their headphones. Are you a bass junkie? Immerse yourself into Skullcandy’s Crusher Wireless Immersive Bass Headphone. It offers up to 40 hours of battery life in a single charge, or 3 hours with just 10 minutes of rapid charge. You can also answer your calls directly with its microphone, or make calls, track, and control the volume directly. For the first time, users are able to customize their prefered bass response by turning the sensory bass slider up and down depending on the music or movie genre they’re indulging in. Bose is known as one of the top leading brands for professional headphones. In this series of headphones, it is precisely engineered with a world-class noise cancellation feature, giving users ultimate comfort and focus. Battery life is incredible, letting users enjoy up to 20 hours of listening. Google Assistant is also built into the headphones, so users can now voice-command as well as check weather and other similar commands without having to look at their phone. Keep your desk clean and tidy from tangled cables with this wireless headphones. Razer designed a few for both PS4 and Xbox consoles with the Ultimate ones providing a base stand for users to hang and charge their headphones. Supporting both PC and Mac via the 3.5mm headphone jack, the sound quality built will stay amazing. In terms of gaming, the 7.1 channel surround also lets you sense where your enemies are coming from in-game on both PS4 and Xbox consoles. The built quality also ensures a lag-free connection between the USB stick plugged and your consoles. So you can flawlessly plan your strategies with your teammates by thanks to the high-quality built-in microphone and dominate the game. Professional artists require not only crystal-clear, high-resolution sound quality while they’re recording music. They also need protection from unexpected peak levels to help them remain distortion-free and clear audio quality as well as control during recording session. The ATH-E70 offers incredible audio accuracy and detail which allows precise balancing of mix no matter mixing in the studio or monitoring on-stage. This pair of in-ear monitor headphones is also best for extended frequency response and accurate soundstage. Noise isolation is also enabled to eliminate external noises so that artists can keep their focus on music. Travelling abroad and can’t wait to indulge yourself with good music whilst enjoying your meals on board? PXC 550 offers exceptional high-quality audio with adaptive noise cancelling feature without sacrificing performance on any volume level. The louder the noise is around you, the stronger it is cancelled. Hence, giving users the best audio listening experience ever. 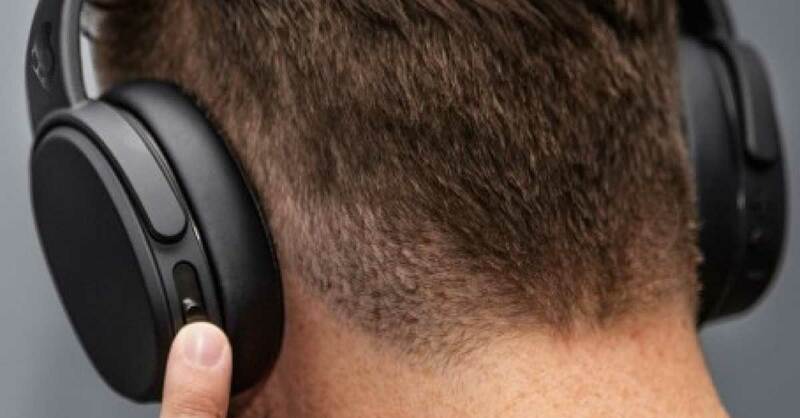 Touch sensitive trackpads are located on the earcups which allow users to have an intuitive and natural feeling while controlling their sound. This headphone also offers up to 30 hours battery life on a single charge. Beats Studio 3 is a pair of over-ear headphones that offers 22 hours of battery life with Pure NFC turned on and 40 hours battery life if turned off. With just 10 minutes of charge however, users can still enjoy 3 hours of playback. Apple’s W1 wireless chip is also built in the pair of headphones to allow users to have access to Siri, farther Bluetooth connection with fewer-dropouts and seamless connectivity between Apple devices. Looking for a pair of affordable headphones for your child? Edifier’s H650 comes with a foldable design where children can keep the headphones in their bag neatly without worrying about breaking it. The H650 comes in a variety of colours to help users match their mood or style they may be in. Noise isolation is also provided in this headphone, allowing children to focus on their favourite media, keeping them happy while you’re busy doing your own thing. Logitech has done it once again by packing an amazing audio performance into a design that is durable, lightweight and comfortable. The G433 offers 7.1 channel surround sound with DTS Headphone:X Surround Sound, allowing users to experience immersive audio no matter where they are. This headphone is also multi-platform compatible, provided with two separate audio cables to optimally connect across all devices. Never again will you stream Netflix and miss every word spoken by the characters in detail.